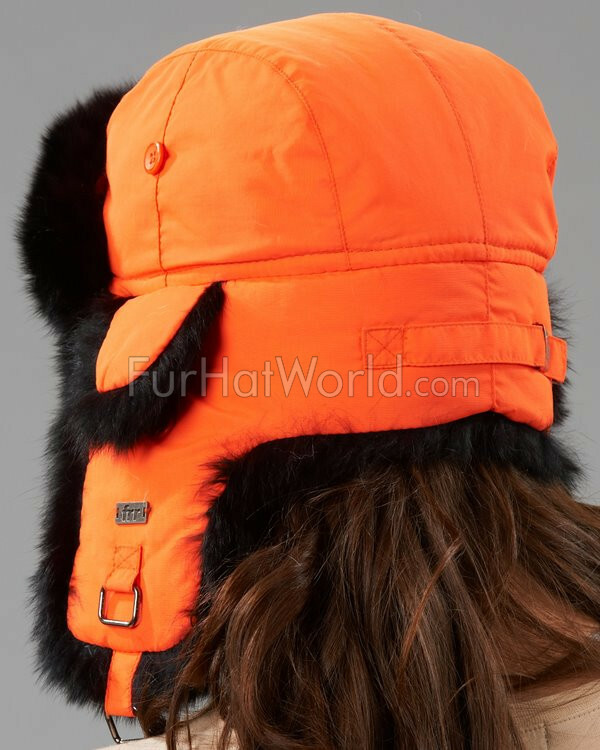 Authentic rabbit fur trapper hat for ladies. 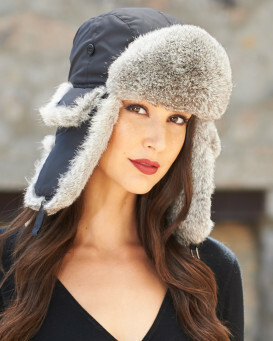 This womens fur trapper hat features premium quality rabbit fur and a water repellent Taslon shell. The rear size adjuster with T-slide metal buckle ensures a perfect fit. 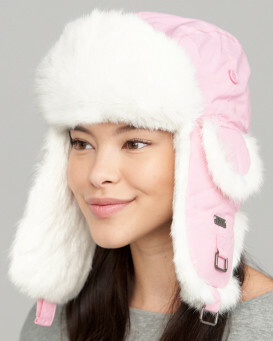 Use the sizer to adjust the hat smaller by up to a full size if needed. 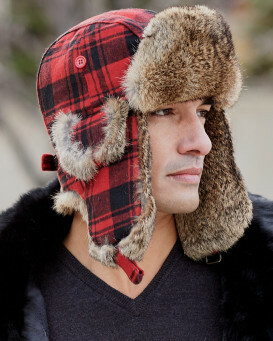 The inside of the hat offers a static resistant insulated lining with a fleece forehead pad for extra comfort. 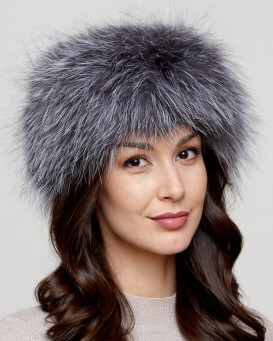 The rabbit fur ear flaps can be secured under the chin for extra warmth or neatly flipped up and attached at the top of the hat using a durable Velcro and ring closure system. The Taslon Nylon outer shell is treated with Guardian 100 Textile Protector, a long lasting water repellent treatment that repels water off the hat rather than being absorbed. 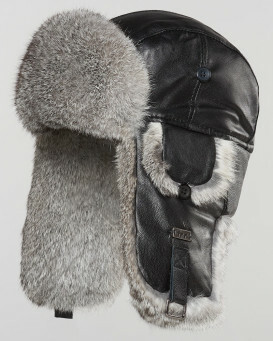 Brushed nickel metal is used on the hat's buttons and snaps for added quality. Designed in Canada. "This is my fifth hat from your company. 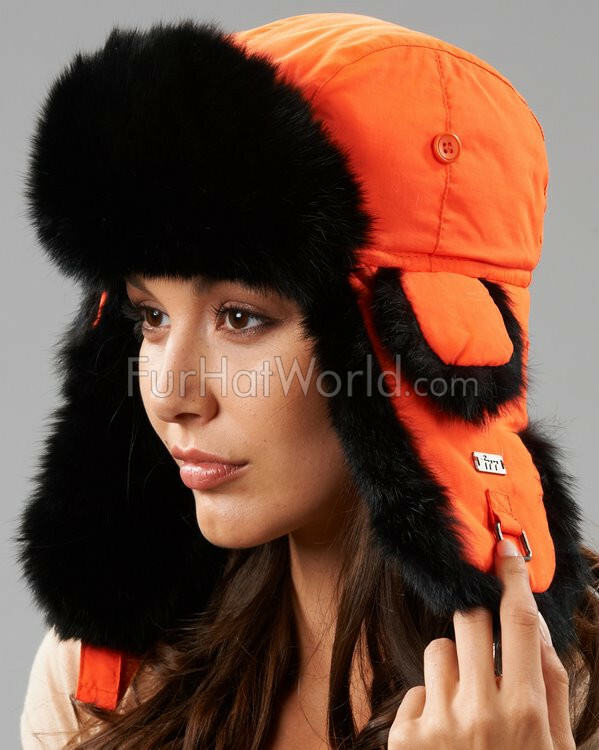 It was mainly purchased for winter tractor work (matches my Kubota tractor) and l just couldn't resist a warm fun hat to work in. 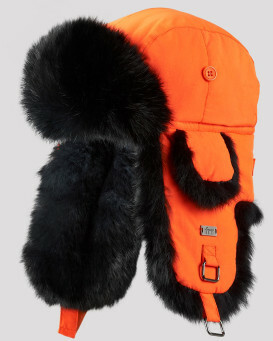 The blaze orange also adds a touch of safety while hunting with others." 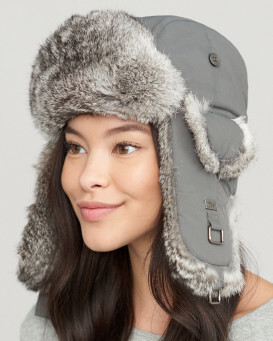 "great hat! fits me perfectly and very warm too"
"Extremely well made and warm." "Lovely, really pleased with my hat, fit is great, very quick service will use this sight again." "This is the best hat that I have ever worn. Soft, warm and an excellent fit. 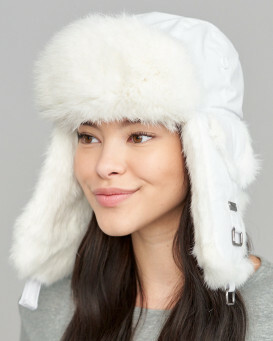 A great quality hat!" 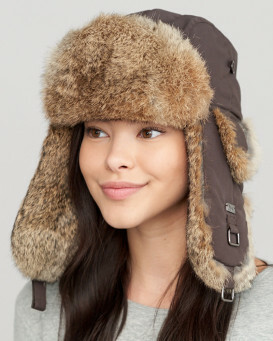 "I bought this hat to go hunting. 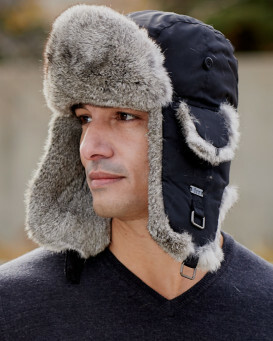 It kept my head perfectly warm on the freezing cold days. I loved the softness of the fur and the fit was perfect. It is great quality and will last me a long time. I paid for express shipping and received the hat the next day! Amazing service! Would definitely recommend this site!" 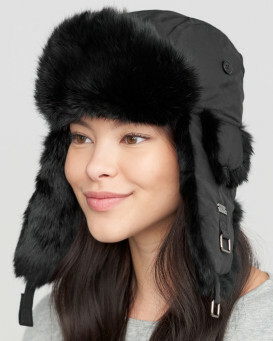 "I BOUGHT THIS HAT FOR ITS COLOR AS WELL AS FOR WARMTH. MY HORSE IS THE COLOR OF AN ELK,"
"perfect fit , super warm, big points for quality, delivery issue with ups contracting out delivery"